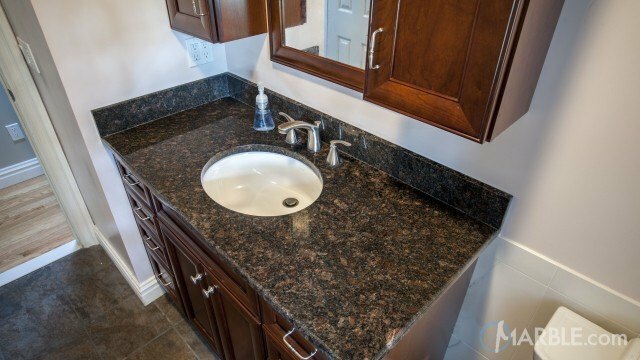 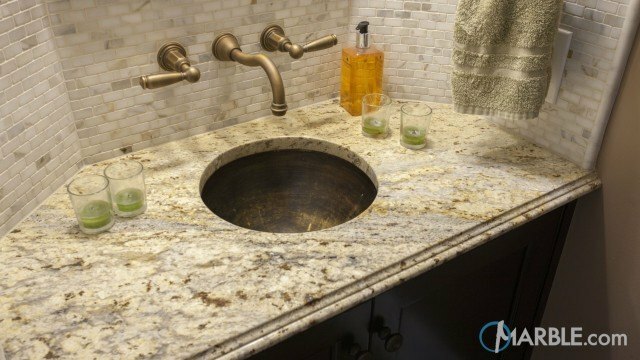 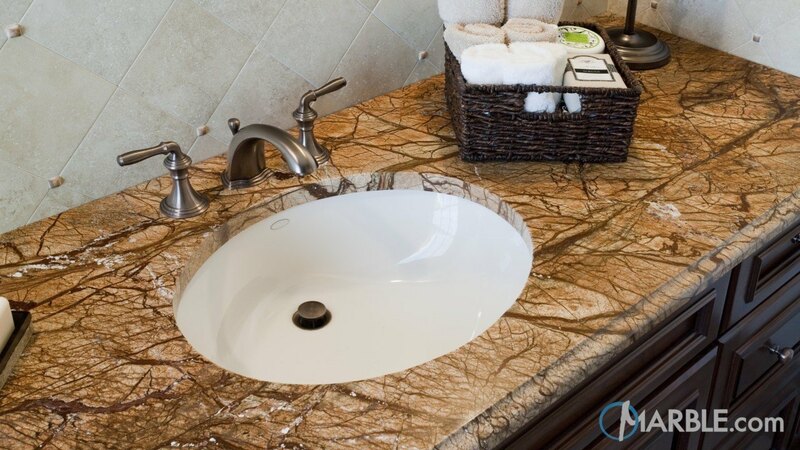 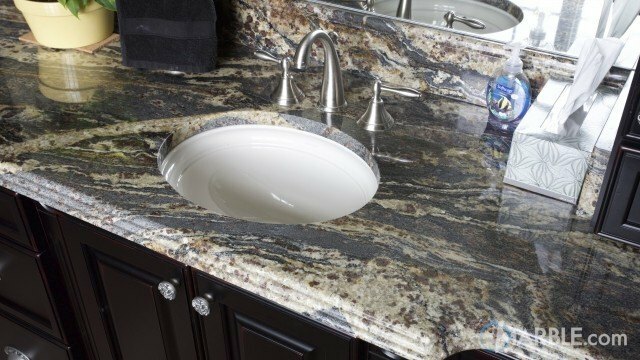 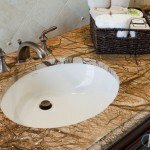 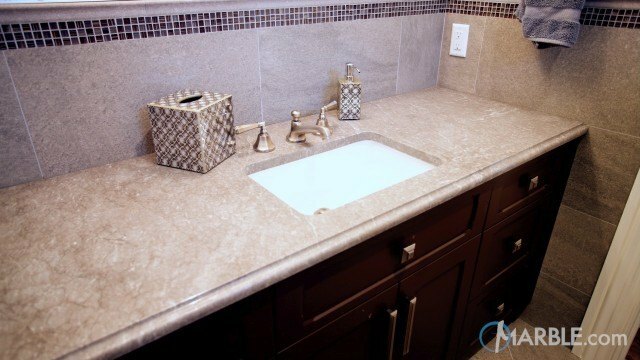 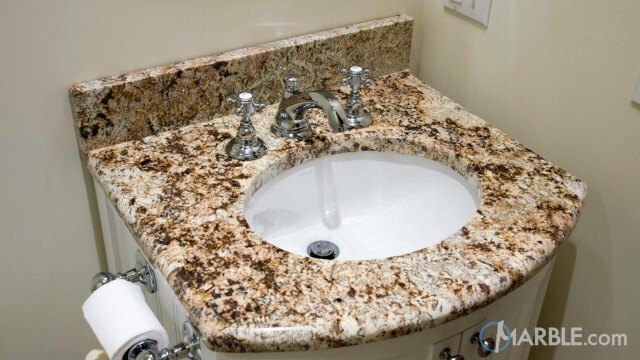 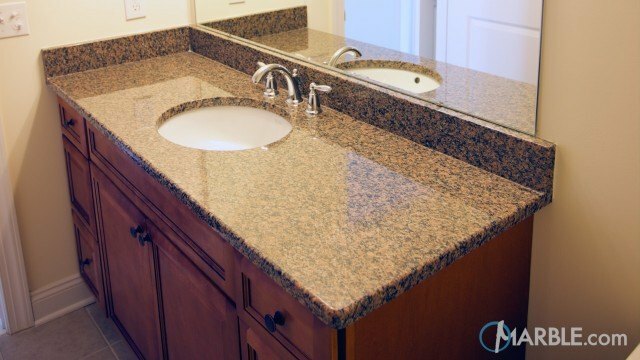 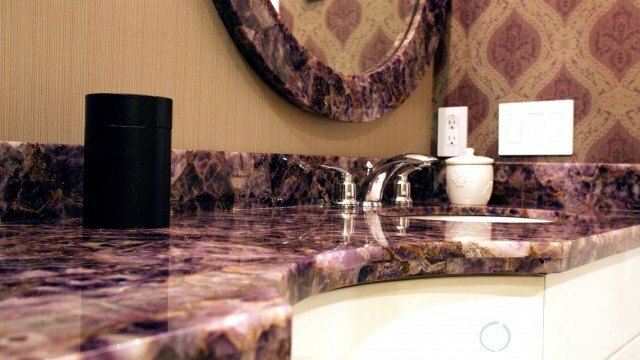 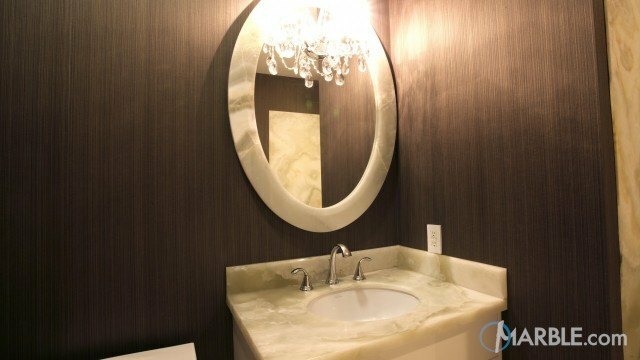 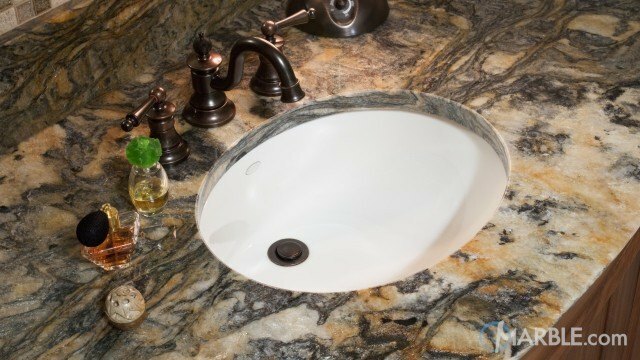 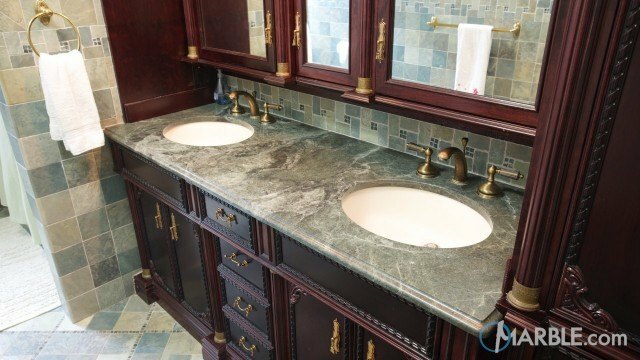 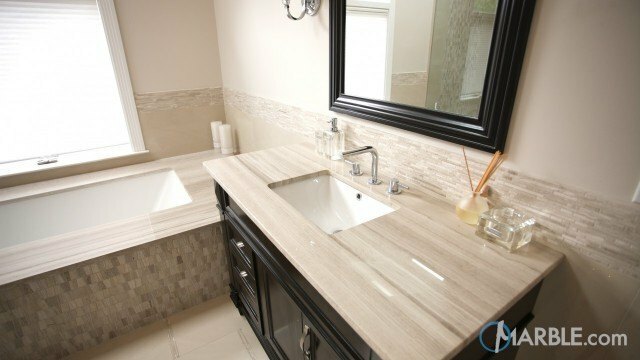 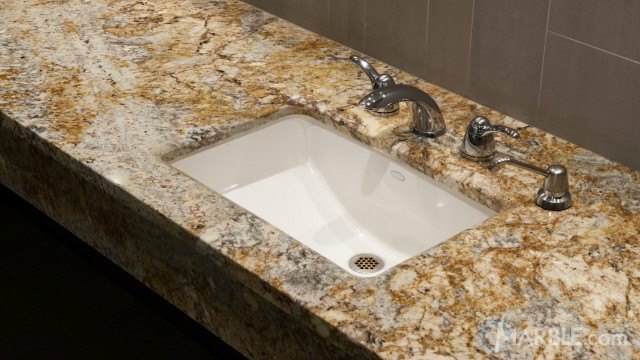 Transporting us to another world, the Rain Forest Brown marble with an Ogee Edge of this counter top is absolutely breathtaking. 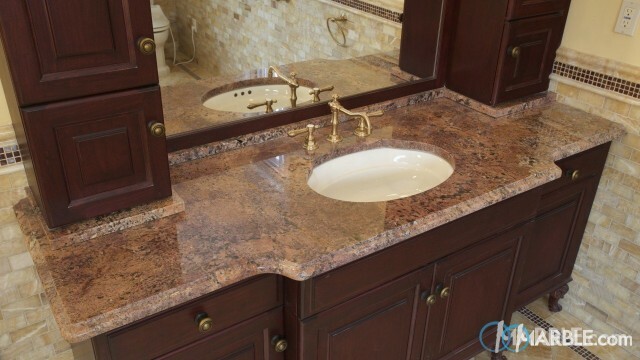 The brown, beige and red veins combine beautifully to make us feel like we're looking into a dense forest of magnificent trees. 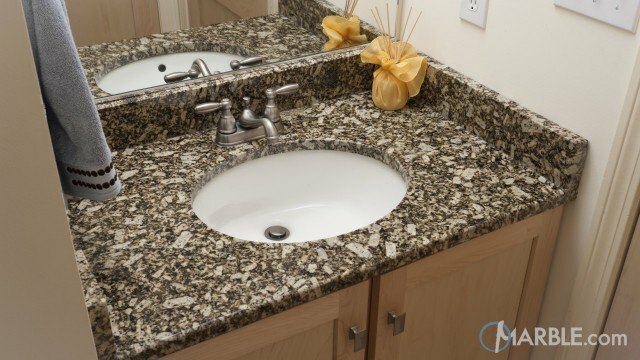 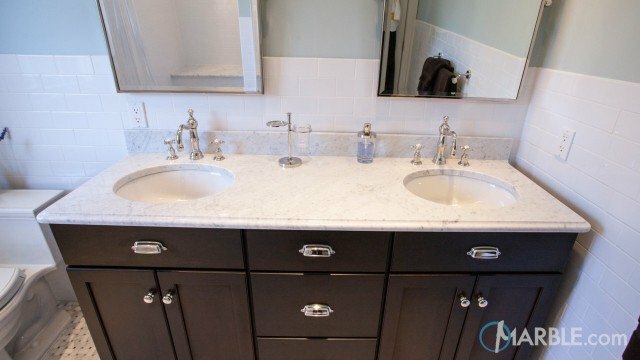 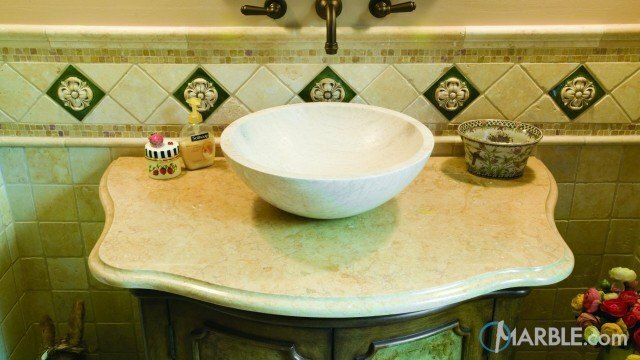 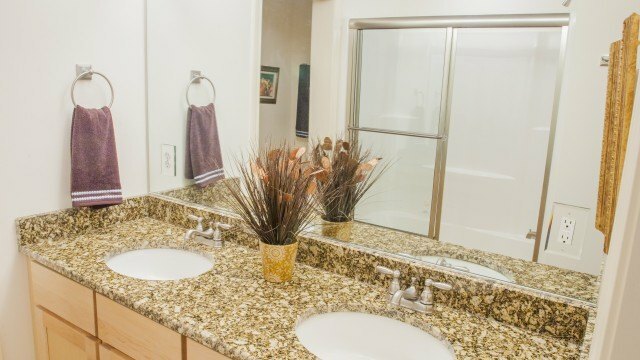 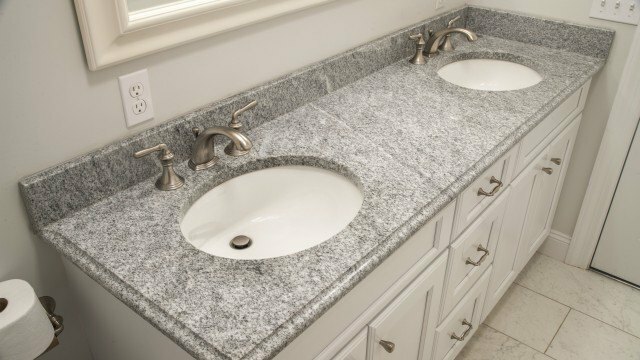 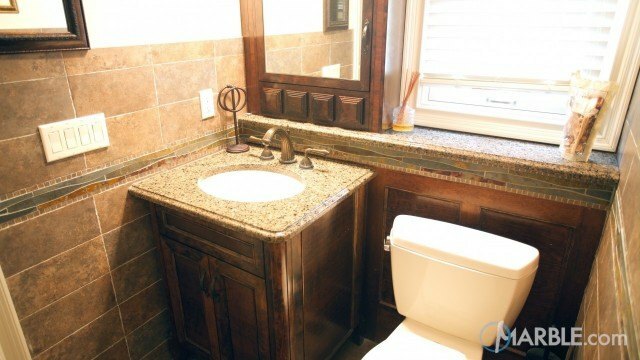 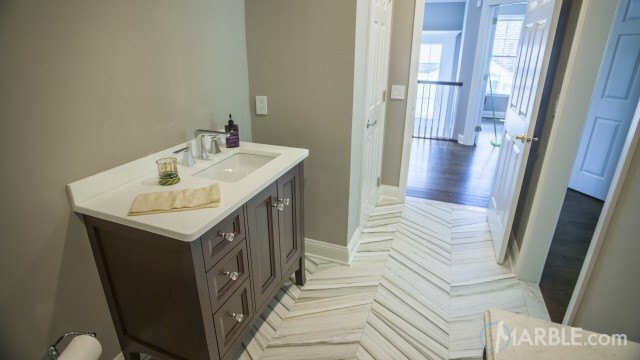 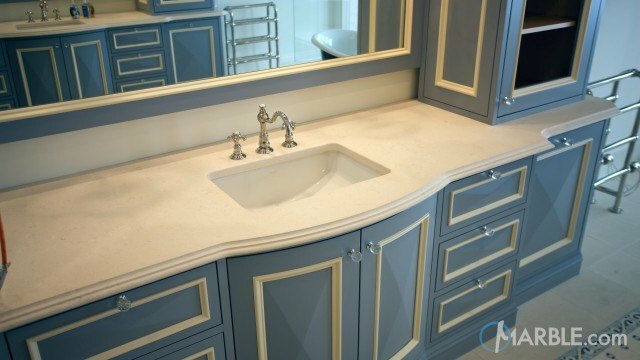 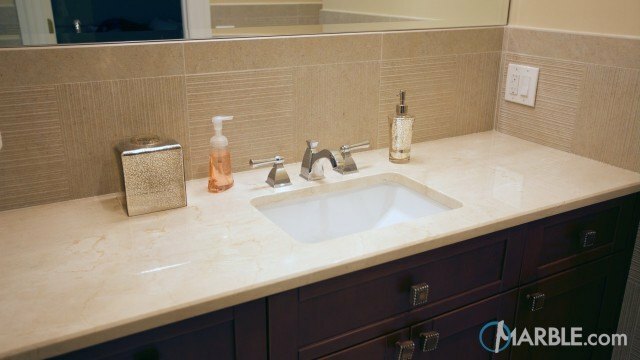 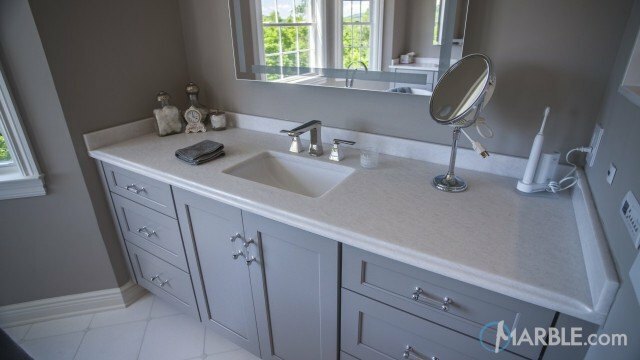 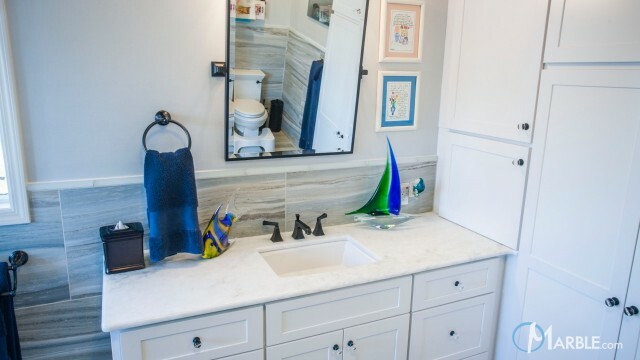 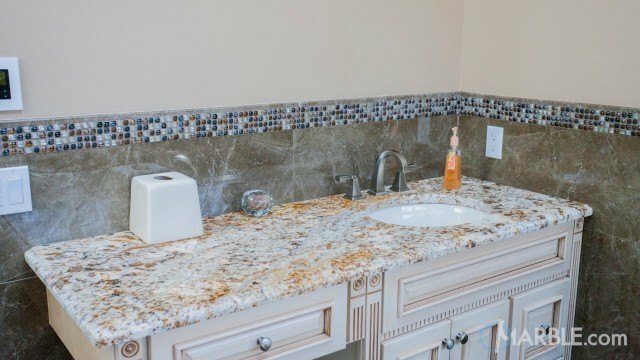 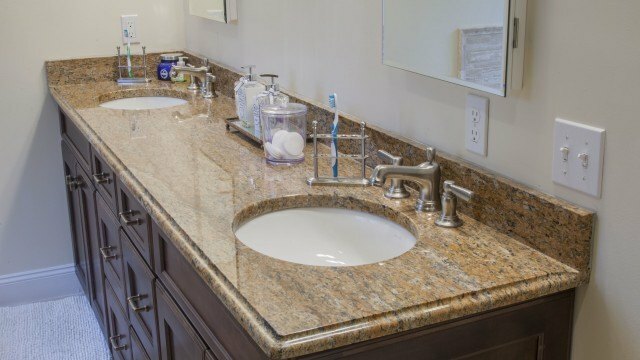 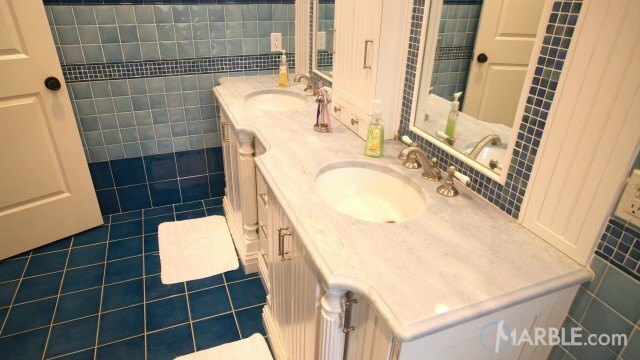 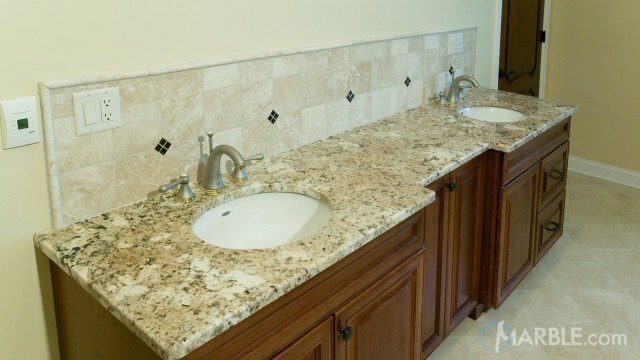 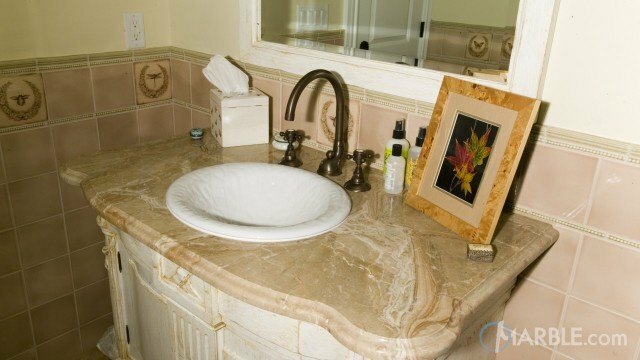 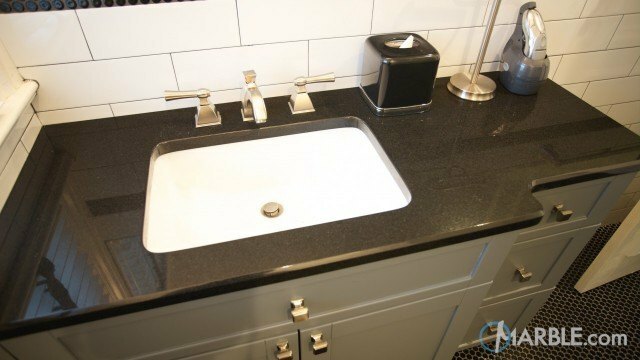 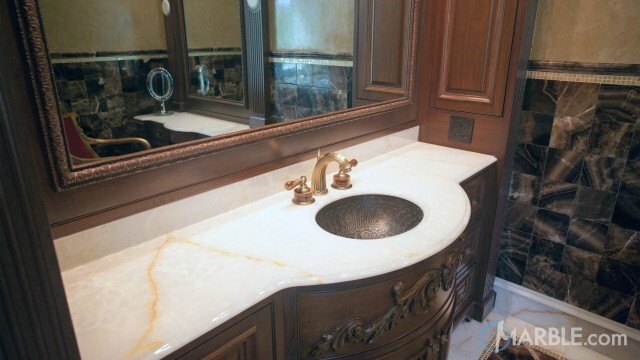 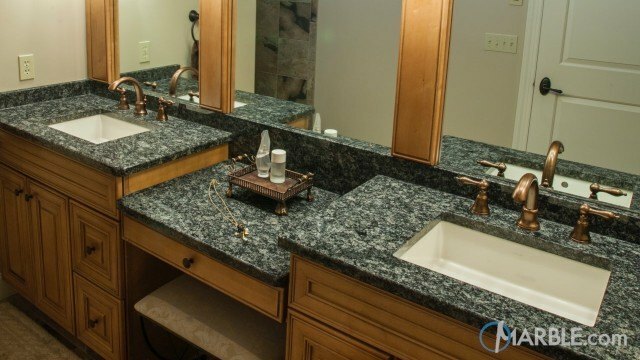 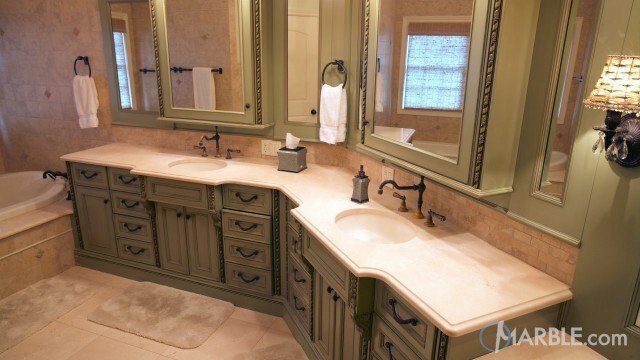 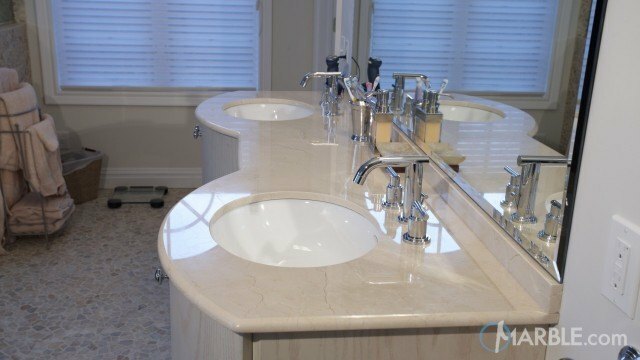 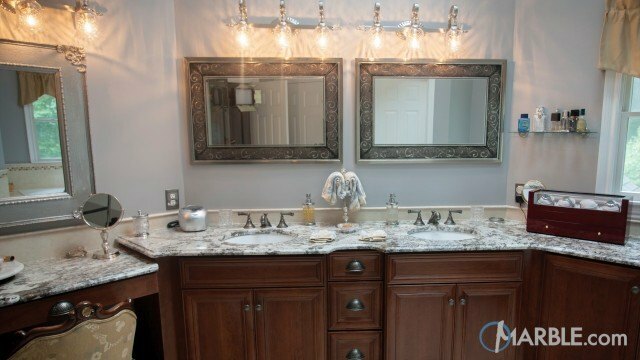 The white sink and dark cabinets contrast to bring our attention right back to the stone. 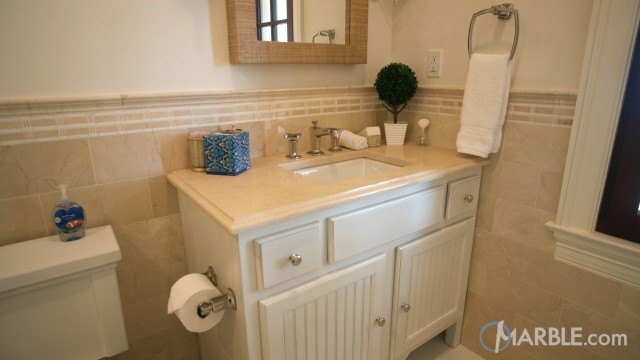 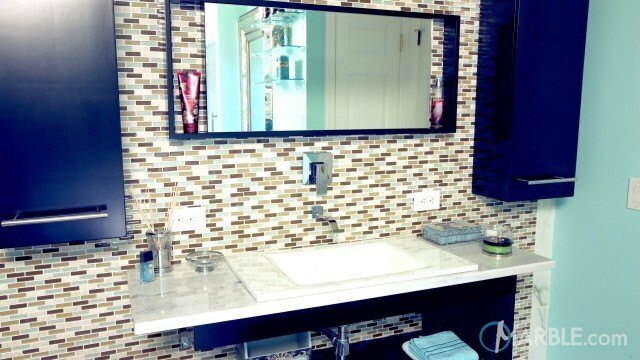 Wicker accessories add a homey feel to the vanity.